What Does Jesstec Industries Inc. Do? asks all its employees to be innovative in their involvement to a quality deliverable. The company was incorporated in 1982 in Thorndale, Ontario. In 1985 operations were moved to London, Ontario and have remained there since. Mr. Ed Borland is president and founder of the company. Ed has over 50 years of experience in the electrical industry as a journeyman electrician, journeyman lineman and contractor specializing in high voltage maintenance, pole line construction and utility maintenance. 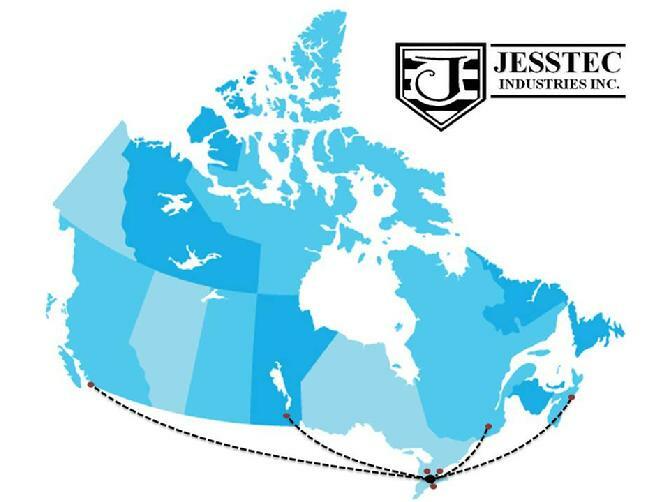 Jesstec Industries Inc. is currently located at 420 Industrial Road, London, Ontario, close to the London International Airport, and Veterans Memorial Parkway with easy access to Highway 401. Jesstec has branch offices across Canada and additional sales staff at the main London office. The top management and the employees of Jesstec Industries Inc are committed to a consistency of quality and service that meet all of our customer’s expectations. Our customers benefit by our commitment of continuous improvement; the company asks all its employees to be innovative in their involvement to a quality deliverable. This Quality Policy is appropriate to the purpose and aims Jesstec Industries Inc. Our objective is to monitor measure and achieve growth through customer satisfaction created by zero defect service and delivery. Jesstec Industries Inc. prides itself in cost effective preventative practices accountable to written procedures and instructions, which provide the framework for the realization of our quality process meeting the requirements of ISO 9001: 2015 Revision. The management of Jesstec Industries Inc. accepts fill responsibility for allocating the necessary resources in training, initiatives, and technology required to maintain this Quality System. This Quality Policy shall be posted, understood and implemented at all levels of the organization.